Here at mac and iPhone repair Newcastle we know a common problem with this iPhone is the screen breaking. Unfortunately this is not something that the average Joe can repair. If you do not have a warranty then you need to look into repair shops. Many people use “Mac Repairs” for all of their mac repair needs. They can handle anything from iPhones to iBooks, iPads and more. Mac Repair our certified Macintosh technician. This reliable source for repairs will get the job done correctly and ensure their work. This company even repairs iPods and iPads. Pretty much any Mac product is something they can fix. If your iPhone, like many, has a cracked screen then this will need to be replaced by a professional. Trying to fix any Macintosh technology yourself can be very complicated. On other PCs many repairs can be done on your own but this is not the case with Macintosh technology. The advanced designs and technical workings take repairs to the next level. This is why you should hire a pro to do this for you. 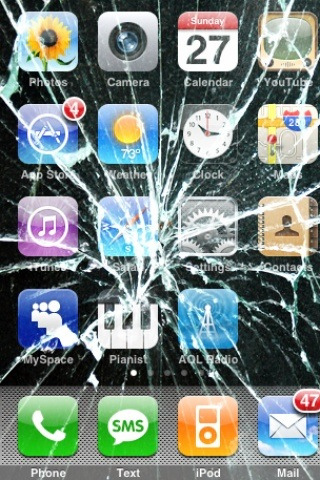 You can find a large amount of useful information at www.macrepairsnewcastle.co.uk/ in regards to broken iPhone screen repair. For those of you that are in or around Newcastle you can stop by their physical location on Newbridge Street. You should be impressed with the level of expertise and knowledge. Mac Repair is one of the few establishments that actually can repair an iPhone 2G, 3G (3Gs), and the new iPhone 4. For your peace of mind they only have experienced technicians working on your electronics. If you, like many, are dealing with a broken iPhone screen, then consider Mac Repairs the solution to your problem. With their affordable rates and reliable service you will pleased with your experiences every time.